This is the chapter where the real fun starts. Your introduction to the Rails Console. Consider this console as the worry-free sandbox you used to play in as a child. If you built your mote wrong, you could simply kick sand back into it or walk away. With the Rails Console, if you get your code wrong, simply use Ctrl-C to break that last command or Ctrl-D to exit the console all together. The console is great for new developers of all levels or developers new to Ruby. It allows you to test ideas and theories without the fear of permanent repercussions of damaging your precious database. When I wrote my first RoR program, I just jumped in. I started laying down the codes with no prior knowledge of Ruby or Rails. Turns out, that’s not the best approach with anything—especially completely new concepts which I’ve previously covered. So, let’s start with interpolation. According to Merriam-Webster, interpolate means—to put (something) between other things or parts. But for our purposes, it means to display the associated variable within a string. myVar = "Jerrod is awesome"
"Who is awesome? Jerrod is awesome"
A common error/misconception among new programmers is the difference between a double quote (“) and a single quote (‘). In most cases with Ruby, they behave exactly the same. As you can see, this doesn’t do us any good. Some of you may even be asking how setting a variable and then outputting it is of any use to a programmer, anyway. Everyone would see “Welcome back, ” with the name variable changing. 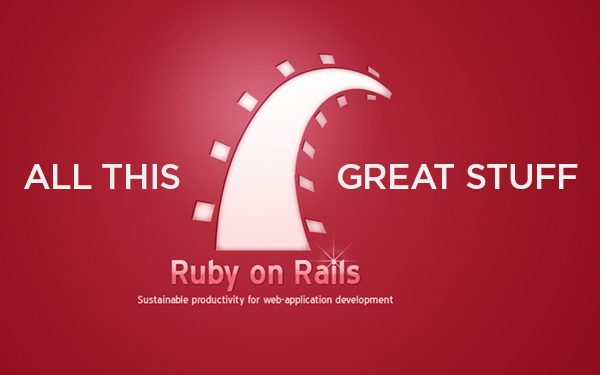 This is only the tip of the iceberg when it comes to the capabilities of Ruby on Rails. After this chapter I felt comfortable enough in the language to stop going through the tutorial. You will see these lessons (and many more) in action, with the sites we’re creating here at Current360 using Ruby on Rails.